After several beta updates, the official Android 9.0 firmware is finally available for Galaxy S9 and S9 Plus devices. Unlike the beta builds beforehand, the official firmware includes no bugs. If your Galaxy S9/S9 Plus is still running Android Oreo version, you will a large number of changes after updating your phone to the latest firmware. To experience the new features, read our instruction in this post to manually install the official Android 9.0 Pie firmware on your Galaxy S9, Galaxy S9+ using Odin. After you install the firmware on your phone, you can experience new Samsung One UI along with all other new features, performance enhancement, and better battery life. This tutorial only applies to Samsung Galaxy S9 and Galaxy S9+ devices, so you must not install it on other devices. The specific models supported are listed below. To make sure you are using the correct variant of the Samsung Galaxy S9/S9 Plus, simply navigate to Settings > About phone > Model number to check it. Below is a step-by-step guide to updating Samsung Galaxy S9 / S9+ to the official Android 9.0 firmware. Since it’s the official build signed by Samsung, you need the latest ODIN 3.13.1 to flash the firmware on your Galaxy S9 / S9 Plus. 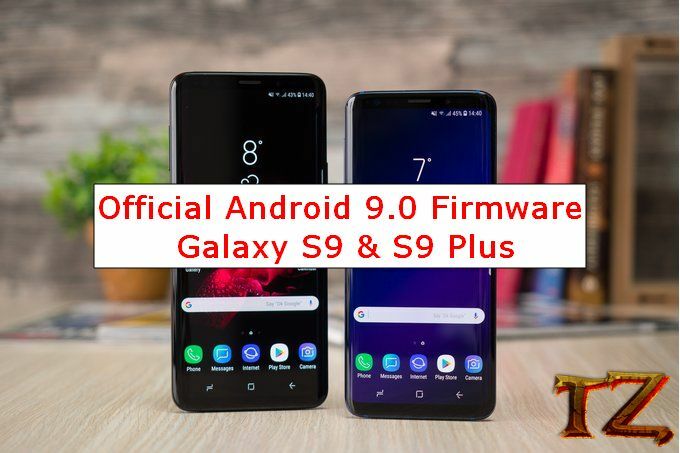 Step 1 – Download Android 9.0 firmware from the links below for your Galaxy S9 / S9+. Once done, extract the zip file.